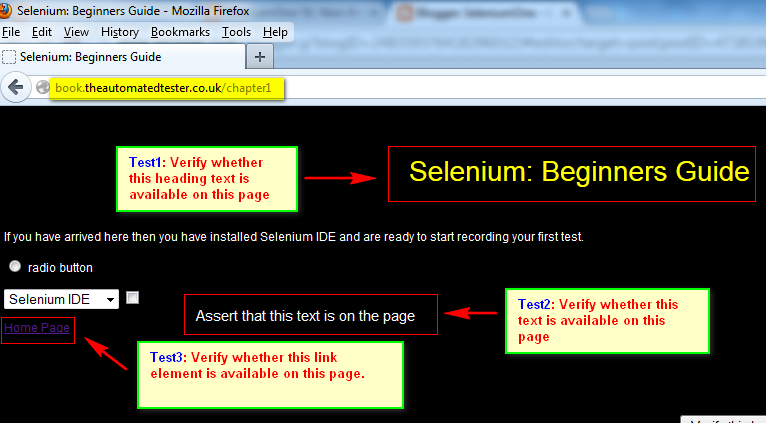 Lets write the Selenium Automation Code without Refactoring it. Lets make sure that our code contains more than one tests. 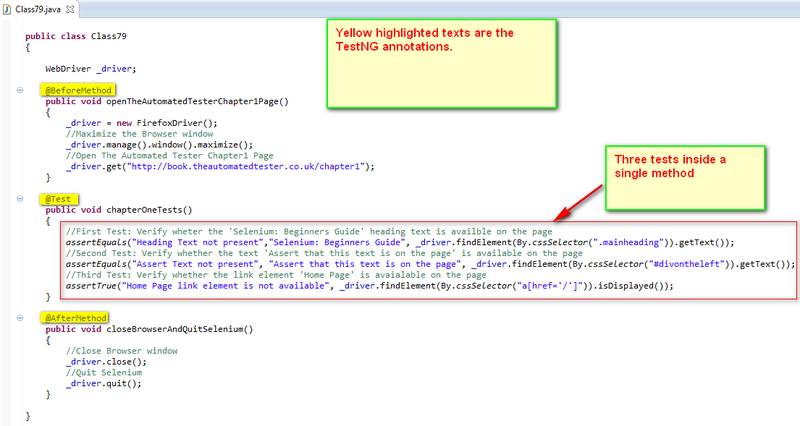 Lets include TestNG annotations in our code and later Run using 'TestNG'. 3. 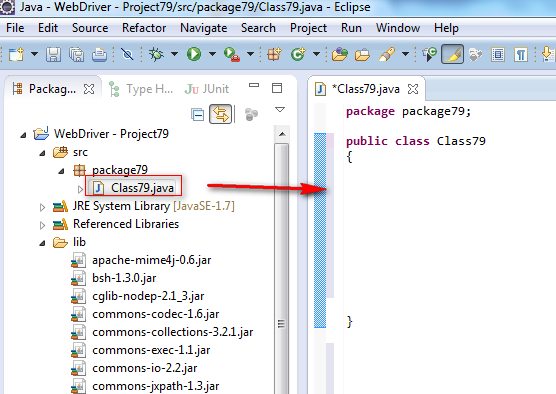 Create a package say 'package79' under the newly created project. Is it ok to write three tests in a single Test method instead of writing them in separate test methods? The answer is No. Though the Test runs without any errors even if we mention more than one tests in a single test method, its not a good practice to write more than one test into a single test method. So what we have to do in order to overcome this ? We've to write each and every test into a separate test method. 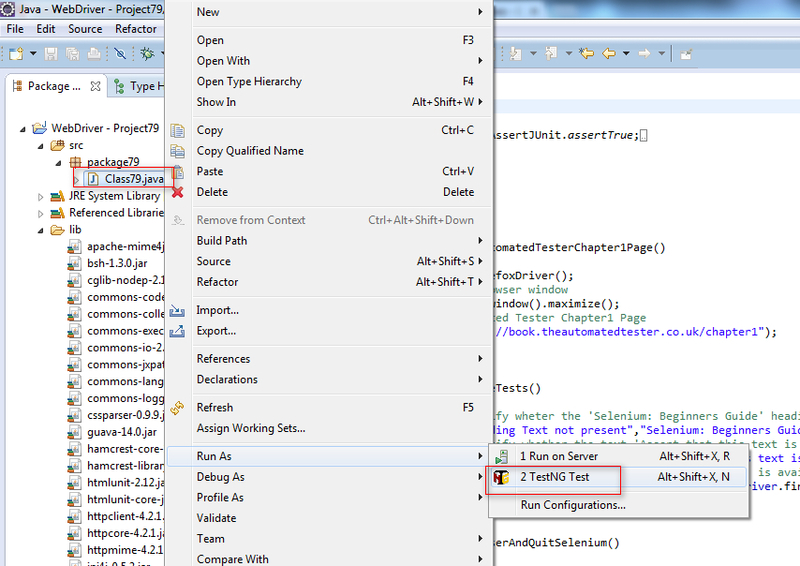 Only one test should be written inside a single test method will be explained in the next post.